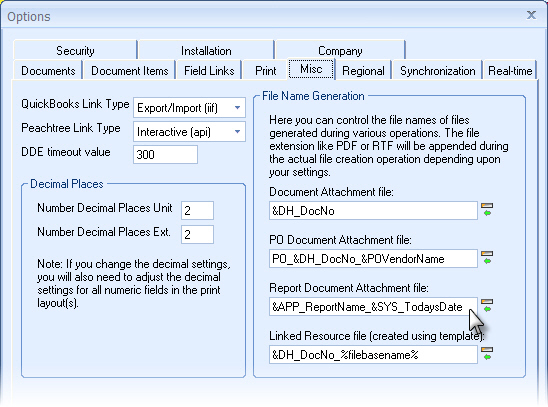 There is a new File Generation option for the Report Document Attachment file. When previewing a Management Report, you can save the Management Report preview as a file, or send it as an email. When you do, the file name generated will be based on the macros you define. For example you can set this to "&APP_ReportName &SYS_TodaysDate" and the file name will look like "Quarterly Sales Dec-11-2009.pdf"